BOONTON, New Jersey (WABC) -- A New Jersey park was temporarily closed after a 76-year-old man was attacked by a raccoon. 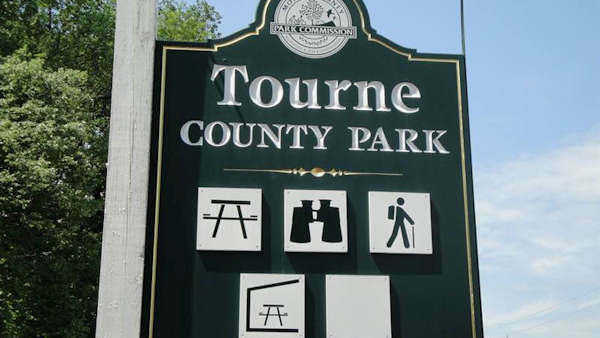 Police say the animal attacked the man in Tourne County Park in Boonton around 8 a.m. Tuesday, biting his hand and leg. The man, a Boonton resident, was out for his daily walk when the attack happened, according to police. Authorities feared the raccoon had rabies because the man said the attack was unprovoked, and the park was evacuated and closed during the preliminary investigation. The victim was treated for his wounds at the hospital and received precautionary rabies shots. Officers trained and experienced with trapping animals worked overnight, and four raccoons were caught that may potentially be the animal responsible for the attack. They have been sent for testing, and the results are expected to be available Friday. The park has since reopened, and police urge park patrons to be aware of their surroundings. Anyone who observes animals during the day that are nocturnal or sees an animal acting in an unusual manner should leave that area immediately and call the police.